Today’s main news: SoFi cancels plans for Australia, Canada. SoFi completes largest consumer loan securitization to date. Elevate launching credit card for sub-prime consumers. Funding Circle posts record month. Zopa developing IFISA transfer features. PPDai debuts weakly in New York. WeLab raises $220M for expansion. Australia upgrades RateSetter. Today’s main analysis: Three Myths of Peer-to-Peer Lending. Today’s thought-provoking articles: Cleveland Fed compares P2P lending to subprime mortgages. Lend Academy calls Fed claims ‘dubious’. China IPO fever winds down as crackdown winds up. P2P loans remind Fed of the Subprime Mortgage Crisis. Will Goldman Sachs become the Google of Wall Street? Travel companies are beginning to offer loans. Groundfloor prepares to make Reg A+ offer to accredited investors only. Real estate crowdfunding trends to watch in 2018. Digital mortgages marching forward, but borrowers want it faster. SellersFunding launches algorithm to streamline funding for Amazon merchants. Small banks vow to protect against tech giants. LendingTree to host analyst, investor event. Funding Circle posts record month. Funding Circle says investors can expect 5% returns in a recession. How to invest when you don’t have much money. Funding Circle joins Women in Finance charter. Zopa developing IFISA transfer features. How P2P platforms balance investor, borrower numbers. Is it too late to profit from P2P lending? Tech founders plan swift exits. Key takeaways from the Robo-Advice Innovation Forum. Ppdai makes weak debut in New York. WeLab raises $220M for expansion. CreditEase CEO discusses SME-driven economy. WeLend reveals how it determines creditworthiness. Why there is lots of P2P opportunity in China. Klarna adds pay later feature at Swedish stores. FinScience closes 1M Euro seed round. Using AI to find the next tech unicorn. Etherecash token pre-sale a big success. Disruptive innovation in equity crowdfunding. Kony plans expansion to digital banking marketplace. Fitness trainers are pushing payments. YES Bank survey to study worldwide ecosystem. Credible to list on ASX. Fisdom raises $4M in Series B round. Payoneer supporting e-commerce exports from India. What is the future of bank branches? Fintech fund targeting global investing. How China Construction Bank transformed digitally. KiaKia launches alternative credit scoring, virtual lending platform. Online lender Social Finance Inc said on Thursday it is pulling back from expanding into Australia and Canada as previously planned, choosing instead to focus on improving its core lending products like student loans and mortgages in its home market. The San Francisco-based company will also drop its plans to push into asset management, according to a letter from its interim CEO to shareholders and seen by Reuters. On Friday, SoFi announced it has completed a $727 million issuance of SoFi Consumer Loan Program 2017-6 (“SCLP 2017-6”) notes, making it the largest offering of securities backed by consumer loans and is SoFi’s 11th ABS transaction this year, bringing the lender’s total issuance for 2017 to $6.1 billion. Elevate, a fintech lender from Texas, recently announced it wants to try out the credit card business according to Business Insider. On Monday, the company released its plans for 2018 which included a variety of new products and a possible partnership with a bank. One of the products that Elevate is looking to release is a credit card with a third-party bank by next year. The card would be potentially geared toward subprime borrowers, which constitutes a large group of Elevate’s customer base. Another company, Petal, is trying to offer a new credit card in 2018. It’s goal is to increase the availability of credit cards to consumers who are lacking credit. The peer-to-peer lending industry has the potential to destabilise consumer balance sheets, with loan performances bearing a striking resemblance to the subprime mortgage market before the 2007 crisis, warns a new paper from the Cleveland Federal Reserve. And things could get much worse, warn the Fed researchers after looking through credit bureau data on 90,000 people who took out P2P loans between 2007 and 2012 and comparing them to 10 million traditional borrowers. The researchers conclude that, in fact, P2P loans do not achieve these things and actually resemble “predatory loans” in terms both of who takes them out and the impact on borrowers’ finances. Are consumers really better off skipping the local BofA branch and instead filling in a few online forms and having an algorithm spit out an interest rate? Are all these newfangled credit-rating tools helping to serve those traditionally brushed aside by the big boys? Is P2P good? Researchers at the Cleveland Fed have an answer to all these questions: No. The pattern is worse for those with credit card debt; compared to the control group, P2P borrowers see a 47 percent increase in credit card debt after getting an online loan. Meanwhile LendingClub has posted exactly two quarters of profit since going public in 2014. Its last earnings report sent shares down 20 percent. According to the authors, Yuliya Demyanyk at the Cleveland Federal Reserve, Elena Loutskina at the University of Virginia, and Daniel Kolliner at the University of Maryland, peer to peer loans resemble predatory loans in terms of the consumer market they serve and impact on consumer finances. Credit scores of P2P borrowers fall substantially after taking out a loan when compared to peers who did not take out a P2P loan. Loan delinquency rates are more than 50% higher for P2P borrowers two years after the loan origination when compared to peers who did not take out a P2P loan. P2P borrowers exhibit a 47% increase in credit card balances after obtaining P2P credit when compared to similar non-P2P borrowers. [Side note: This report seems to be using P2P lending to mean the broader online lending industry beyond just Lending Club and Prosper so keep that in mind when you see me using the P2P lending term in this article]. One of the things I disliked most about this new report was the how opaque their analysis was. They just said they used data provided by TransUnion “in which we observe about 90,000 distinct individuals who received their first P2P loan between 2007 and 2012.”. They provide no indication as to which platforms this data is based upon and then we see this very strange chart below showing supposed delinquency rates by year. In 2006, the only consumer P2P lending (or any significant online lending) platform in existence in this country was Prosper and their 2006 vintage was terrible. This data was all publicly available at one point and I reported that of the 28,936 loans issued during those initial two and a half years 10,456 loans defaulted, a 36% default rate. Subsequent vintages at Prosper performed much better. When I see the table above showing those numbers I have to question the entire data set of the report because obviously their 2006 data is wrong. The study, published Thursday, is likely to spark intense debate. One of its findings is that consumers who take out online loans, sometimes called peer-to-peer loans or marketplace loans, likely have access to traditional banking services. In 2010, digital lenders originated $249 million in unsecured personal loans, according to a recent study by the credit bureau TransUnion. By last year, the annual loan volume had grown more than ninetyfold. The study finds that the consumers who took out online loans grew their other debts by about 35% more over the next two years than did their counterparts who did not take out the loans. Square is trying to upend the way people pay for stuff and change the way businesses handle money. Clearly, its strategy is working: Square’s stock is up 175% this year. That’s more than 11 times the S&P 500’s 15% growth. The company cashed in on those subscription services, which generated around $65 million in revenue — up more than 80%. It is also making big money from its largest merchants. Almost half of the $17.4 billion in payments Square handled last quarter came from merchants with more than $125,000 in annual sales. It has lent small businesses more than $300 million. A Harvard Business School case study on the bank’s digital strategy was presented as part of the executive MBA program last week. The case study runs through some of the history of Goldman Sachs’ efforts to switch to thinking like a tech company, some of the tension it has caused, and the payoffs. Several major sellers of travel, such as Expedia, United, JetBlue, Southwest, and Lufthansa, are testing extending credit to U.S. consumers to enable them to pay for their vacations over time rather than up-front. Paying for a trip in monthly payments primarily appeals to consumers with average credit ratings who are willing to accept short-term, interest-based loans. But consumers with high credit scores also appear to be getting tempted into splurging on luxury trips if companies lend them credit on attractive terms. The new installment products — called layaway when paid off prior to trip and a loan if paid off after — have been common in developing countries. A few fintech startups — most prominently Affirm, Airfordable, and UpLift — are hoping that their services will make delayed payment for travel fashionable. This year, UpLift said that its average 12-month travel loan through travel brands was $2,420, said CEO Brian Barth in an interview. For “highly-qualified” borrowers, it has typically charged 8.99 percent annual percentage rate, he said. Consumers participating in UpLift’s loans had an average FICO (Fair Isaac Corp.) score of 692. Scores range from 300 to 850. UpLift has lent money to customers with FICO scores as low as 475. Affirm said that its travel partners see a 20 percent increase in customer conversions, on average, by offering its product. The tracker, a new release from PeerIQ’s research and analytics team, examines credit performance trends across publicly traded banks, FinTechs, and card issuers. We also deep-dive into the earnings of Lending Club and OnDeck. Stay tuned for a release this week and scroll down for an excerpt. Goldman Sachs is rebranding GS Bank to Marcus. Marcus, Goldman’s online consumer lending business, has seen extraordinary growth since its inception. 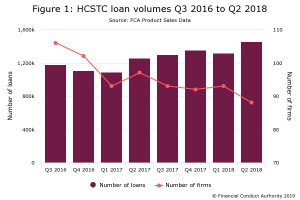 Overall, lenders were optimistic on credit performance outlook although acknowledged that re-normalization trends are underway amidst a greater supply of credit. Groundfloor has filed a Form 1-A with the Securities and Exchange Commission indicating its intent to sell shares in the real estate crowdfunding platform. According to the filing, GroundFloor is offering up to 2.5 million in Common Stock at $10 per share. Interestingly, the Groundfloor offering circular indicates the company intends to limit the offer and sale solely to accredited investors – even though under Reg A+ issuers may sell to both accredited and non-accredited investors alike (although in other parts of the document it appears they will accept non-accredited investors). Real estate crowdfunding is a growing industry of great interest for realtors and investors. A report on Crowdfunding for Real Estate by crowdsourcing.org anticipated a $3.5 billion growth for real estate crowdfunding in 2016, and experts project that the industry will grow to over $300 billion by 2025. Despite digital mortgage advances, borrowers think it still takes too long to get a loan, J.D. Power finds in its annual customer satisfaction ranking of originators. The most frequently used method for submitting a mortgage application for both refinances and purchases was online for the first time, according to the survey. Forty-three percent applied digitally, up from 28% a year ago. But satisfaction with online submissions declined 8 points and borrowers also gave online submission a satisfaction score 10 points below that of in-person applications. As sales from Marketplace outpace Amazon’s own sales, sellers need increased funding for things like, advertising and purchasing inventory. The SellersFunding model interprets data like products, prices, payments, customer reviews and feedback. With more than fifteen billion single data points on tap, all rigorously tasked, the company’s model can boast high levels of accuracy. But those laws may be up for reconsideration, as Keith Noreika, the acting Comptroller of the Currency, has raised the possibility that those laws are in need of review and possibly revision. Needless to say, the nation’s small banks and their representatives are less than thrilled. “If Walmart wants to be a bank, that’s fine, as long as they make the appropriate investments to protect the parts of the banking system that are so critical,” said Kelly King, chief executive at regional lender BB&T Corp.
King added that he was “absolutely opposed” to the idea of a limited banking license. LendingTree, Inc. (NASDAQ: TREE) today announced it will host an Analyst and Investor Event on Wednesday, December 13, 2017 in New York. The company will host in-person attendees at the Nasdaq MarketSite, 4 Times Square, New York, NY10036. Doors will open for registration at 10:00 a.m. Eastern Time and presentations will begin promptly at 10:30 a.m.
Funding Circle is celebrating a global record month after lending over £120m to businesses throughout October in the UK alone. In total, 1,721 UK businesses accessed finance last month via the lending platform, which directly and indirectly created 4,400 jobs. More than 8,900 small businesses have accessed finance through Funding Circle in the last six months, totalling over £630m in loans. A FUNDING Circle loan portfolio would still deliver returns of close to five per cent in a severe recession, the platform claims. The peer-to-peer business lender has stress-tested its loan book, using a model similar to what the Prudential Regulation Authority (PRA) uses for banks, to see how two example portfolios would stand up against a severe recession similar to the one in 2007/08. Even with these assumptions, the projected annual returns after fees and bad debt but before tax were 5.3 per cent for portfolio A, and 4.9 per cent for portfolio B, Funding Circle said. The Money Box mobile app launched this time last year, allowing savers to invest in stocks including Netflix, Unilever and Disney with as little as £1 to spend. There are, though, fees to pay: after three months, users must pay £1 a month to subscribe to the service, plus 0.45% a year on the value of their investments. Other services for investing small amounts are available from Nutmeg, which has a minimum of just £500, while Hargreaves Lansdown has a minimum ISA investment of £25 a month. Peer-to-peer lending schemes can offer a high return, with some claiming rates of more than 7%. Two of the bigger equity crowdfunding operators are Seedrs and Crowdcube, both of which allow a minimum investment of just £10. FUNDING Circle is among the latest round of firms to have signed the Treasury’s Women in Finance Charter, which aims to tackle gender inequality in senior roles. The Treasury announced on Friday that a further 26 companies have signed up to the Charter, increasing the number of employees covered by the Charter to over 600,000. ZOPA is working on ways to let investors transfer their existing holdings into its Innovative Finance ISA (IFISA). Andrew Lawson (pictured), chief product officer for Zopa, said some investors have already been selling old loans and buying new ones to fund the tax-free product. However, the lender is now working on a one-off option for customers with more than £1,000 in its Classic or Access account to move that money into an IFISA, keeping the Safeguard coverage intact and without paying sale fees. New peer-to-peer platforms should put as much effort into attracting borrowers as they do promoting and obtaining inward investment, according to Kuflink. Stuart Law, chief executive at Assetz Capital, claimed: “A number of long-established peer-to-peer platforms have more investors than borrowers, meaning they have been closed to new investment, while the company tries to find more loans. Peer-to-peer (P2P) lending has grown dramatically since the financial crisis. In 2005 when Zopa, the first lending “platform” was launched, loans totalled just £1.5m. But last year total lending was £3.2bn with Zopa, Funding Circle (which counts the British government as an investor) and RateSetter controlling two-thirds of the market. Rates offered by P2P firms have dropped: investors can earn 3.7pc with Zopa Core and 4.5pc with Zopa. Risks are also rising. When Zopa launched it only offered loans to 0.5pc of applicants, said Neil Faulkner of 4thWay. Now its approval ratings are in line with traditional banks, which give loans to 20pc of applicants. A new report from equity crowdfunder VentureFounders has found that most tech founders in the UK intend to exit within 2-5 years, despite recognising the risks of exiting too early. Fully 56 per cent of the entrepreneurs surveyed by VentureFounders expect to sell their business for £50m or less. The banks are coming and will quickly take market share. With Nutmeg claiming majority market share with less than 50,000 customers, banks accessing millions of customers will quickly grow the market. Exchange-traded fund (ETF) providers and investment managers interacting with advisors can create even more value. The “man and machine” approach may be best. Developing a pensions or SIPP product could triple the total addressable market (TAM) showing a clear route to profitability for the currently loss-making robo-advice community. A pension offering could see LDI frameworks finally reach the retail market. The digital asset management community doesn’t like the term “robo-advisor” as confusingly many do not give “regulated advice” and of course and disappointingly, there are no robots! Ppdai, which operates an online platform connecting small investors and lenders, priced its initial public offering at $13 a share, well below the $16-$19 target. At that level, the company raised about $220 million, compared with its maximum goal of $350 million. The shares then opened higher and rose as much as 10% in early trading in New York. Ppdai finished its first day trading at $13.06. PPDAI priced its offering a week after news that Chinese regulators are considering a crackdown on the country’s cash microlenders in response to claims that some have charged excessive interest rates. The initial public offering of Qudian helped trigger the regulator’s review of the sector, people with knowledge of the matter said earlier this month. PPDAI priced its sale of 17 million American depositary shares at $13 apiece, after marketing them at $16 to $19 each. The stock started trading Friday in the U.S. While Chinese law already limits lending rates to 36 percent annually, regulators are considering drafting rules to specify the cap applies to the cash microlending sector, people with knowledge of the matter said this month. In its IPO prospectus, PPDAI said total borrowing costs for some of its loan products exceed that level after adding in transaction fees. ZhongAn shares have risen 28 percent from their IPO price, outpacing the 5.3 percent gain in the Hang Seng Index over the same period. CreditEase, a Beijing-based leading financial technology conglomerate specializing in inclusive finance and wealth management, announced that its Founder and CEO, Mr Ning Tang, participated in the annual Asia-Pacific Economic Cooperation (“APEC”) CEO Summit event, in Da Nang, Vietnam on November 9. If you are looking to take out a loan from online lending platform WeLend to buy the iPhone X, be warned – should you use only upper-case letters when filling out the address field in your application, you could be charged a higher interest rate. “We actually match how people fill out addresses with the probability of [them] declaring bankruptcy after a certain number of years,” said Simon Loong, the founder and chief executive of WeLab, the Hong Kong company that operates WeLend. “The probability of [an applicant] declaring bankruptcy is highest when they fill in their address in capital letters,” he said. n Hong Kong, the company relies primarily on a user’s credit history and interaction data. In mainland China, where less than 30 per cent of the population has a credit score, WeLab relies much more on unstructured, mobile data. Yet another observation WeLab has made is that delinquency rates tend to correlate with loan application times – if a user applies for a loan between 1am and 6am, they are more likely to default on a payment than users who apply in the day, Loong said. On November 8th, Chinese leading food delivery platform Ele.me quietly marched into the micro lending market. The loans ranges from RMB 500 yuan to RMB 2000 yuan with terms of either 7 days or 14 days. This is a collaborative product with Lixiadai.com which means borrowers apply this loan on Ele.me will be directly led to Lixiadai.com. Nearly two months ago, the stock app jointly set up by JD Finance and four other brokerages stopped operating. According to JD.com, the suspension of the operation is due to a system upgrade. Yet, as reported by the media, the app was actually halted for procedural noncompliance in account opening and trading. Ho fills Cheddar in on why there is such a massive opportunity in peer-to-peer lending in China. He notes that companies capitalized on the governments unwillingness to hand out small loans to individuals. Sweden’s Klarna made its mark with a pay-later model for e-commerce shopping that’s spread to other European countries and the U.S., and now it’s piloting the same concept for in-store purchases. In partnership with the Danish payments technology firm Nets, Klarna has developed a feature that appears on payment terminals at certain stores giving consumers the option to pay for a purchase later—fully or in part—before completing the transaction, Klarna said in a recent blog post. FinScience, a Milan, Italy-based fintech startup, closed €1m seed funding round. FinScience has developed a platform that gives simple access to alternative data to people who work in financial industry. A technology-focused venture capital firm is using artificial intelligence (AI) to look for new European investment opportunities and find the next tech unicorn. Andreas Thorstensson is tech partner and investment adviser at EQT Ventures, which went live in 2016 and is part of global private equity group EQT. EQT Ventures has been using Motherbrain internally for almost two years, with the platform now responsible for up to 30 per cent of the fund’s deal flow. Peer to Peer Lending Crypto Backed: Lend to borrowers internationally with Border Free Loans. Get Higher Returns Than Typical Bank Deposits.Borrow 70-80% of crypto value, without needing to liquidate any assets. Multi-Crypto Debit Card:Etherecash is the first of its kind, enabling users to put multiple currencies on a single debit card. Use it just like a normal debit card for making payments, shopping online or ATM withdrawals in local currencies. It can be used in any country while traveling to mitigate international charges and conversion fees. Get the full document here. Kony, Inc., the leading enterprise mobility and digital applications company, today announced it is expanding its global partner ecosystem with financial technology solutions featured on the Kony Digital Banking Marketplace. FinTech is disrupting the traditional financial services, such as: money transfers, loans, mobile payments, asset management and fundraising. According to Statista, Transaction Value is expected to show an annual growth rate (CAGR 2017-2021. of 20.5 percent resulting in the total amount of U.S.$6.9 billion in 2021. A recent example is CashDash, a mobile app that allows you to buy, collect and return foreign currency. 4. Robo-advisors and automated wealth management services. According to the consulting firm A.T. Kearney, assets under management by robo-advisors will grow by 68 percent annually to a whopping $2.2 trillion in the next five years. In an effort to offer rideshare workers faster access to their wages, First Data recently launched a new solution that delivers the money directly onto a debit card. A collaboration between Ingo Money, Visa and digital lending platform OnDeck will allow SMBs that request loans through OnDeck to have the funds disbursed directly to their business debit cards in real time. A group of 13 Australian banks announced a joint effort to allow customers to get real-time payments beginning on January 26, the nation’s Australia Day holiday. With the service in place, bank customers can exchange money between contacts in a matter of seconds using identifiers such as mobile numbers and email addresses, instead of sensitive data like bank accounts. YES Bank is all set to launch a first-of-its-kind fintech survey. Called India Fintech Opportunities Review, the study will cover India and a few major fintech markets in the world. A research initiative of YES FINTECH, which is the bank’s innovation programme to accelerate fintech start-ups, the survey will cover more than 1,000 firms globally, said Amit Shah, Head-Strategy, Yes Bank. RATESETTER’S Australian operations have been given a higher rating by SQM Research. US-based online student loans marketplace owner Credible Labs Inc is seeking an Australian Securities Exchange listing which would value the company at more than $300 million. Credible is expected to seek to raise $67.5 million in a deal valuing the company’s equity at $306.6 million. If successful, it would be Australia’s biggest tech IPO this year. Fisdom, a Bangalore, India-based personal finance management startup, raised $4m in Series B funding. The round was led by Accion Frontier Inclusion Fund, managed by Quona Capital with participation from existing investor Saama Capital. Payoneer, a global cross border B2B digital payments provider, has decided to expand the scope of its offering in the Indian market to e-commerce related export businesses, it’s visiting CEO Scott Galit has said. Galit said that India is the fastest growing digital market in the world and that more people are going digital in India than anywhere in the world. India will move faster than China for a while, but on much smaller scale. The B2C e-commerce exports in India is around $ 500 million a year, while in China it is $ 400 billion, according to industry insiders. However, there’s one reality that bankers cannot escape from, banks are increasingly under pressure to close their branches. China Construction Bank’s name may not be a household one in the Middle East, but the stats speak for themselves in evoking the bank’s vast resources and influence within China, and across the world. With 363,000 employees on its books, CCB is consistently ranked in the top 30 of the Global Fortune 500 and currently has over $3 trillion worth of assets. In 2015, it was the second largest bank in the world by market capitalisation, and the sixth largest company in the world by revenue. Aside its numerous products that are void of the usual financial bureaucracy and also offer easy access capital to SMEs and individuals, KiaKia, a licensed online peer to peer and direct lending platform, has introduced ‘Mr. K’, an artificial intelligence (AI) and machine learning powered alternative credit scoring, customer service, Direct and P2P lending virtual agent. Speaking further on the new product, Abiola said 80 percent of KiaKia high scoring borrowers access the same loans at between 7.5 percent and 15 percent as against the 30 percent of its competitors, as well as, connecting credible borrowers with lenders offering loans as low as 5.5 percent interest rate for longer tenured loans.